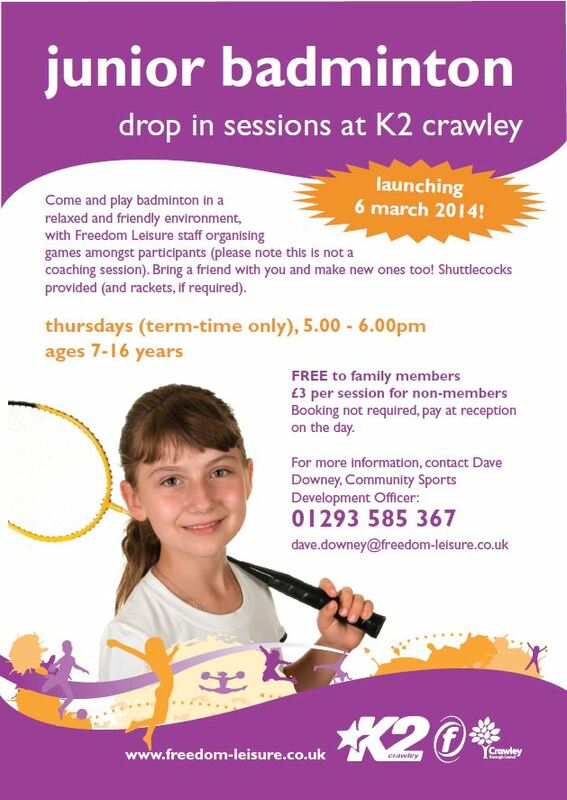 We have a close partnership with Freedom Leisure to promote Badminton at grass roots through local schools. This exposes young children to badminton and lets them start to enjoy the game. From here many players have joined the academy and progressed through to the senior clubs. FastStep also supports “No Strings Badminton” at K2, which was the first such session in the local area. We continue to support when and wherever we can by means of sharing knowledge, ideas, coaching, etc. The partnership is also strengthened further by running “Back to Badminton” courses in order to provide help for the adults who wish to learn new techniques, brush off their skills and in time have the confidence to join a more regular club or even back to their clubs and provide depth to their clubs. 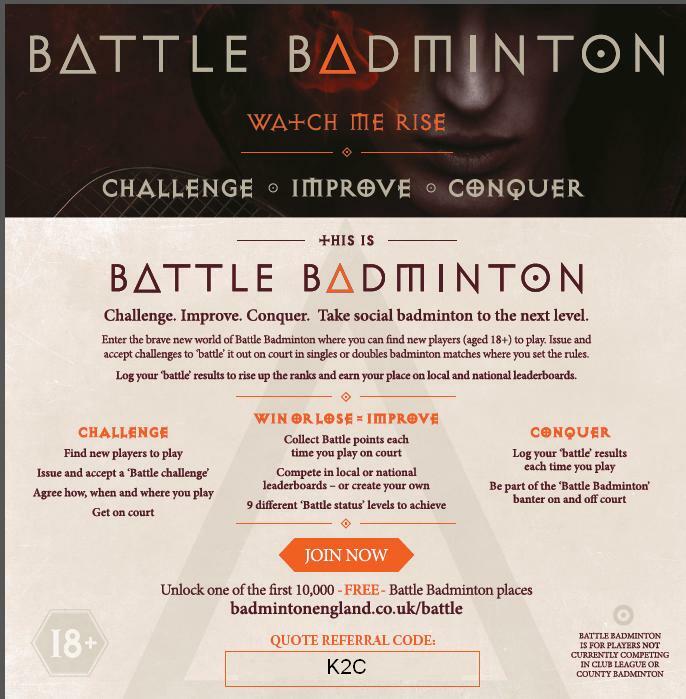 There are some exciting badminton initiatives coming to K2 including Battle Badminton, Essentials for ages 16+, the new teenager Smash Up sessions and new drop-in junior badminton (see below). Keep an eye on the K2 website for more. Meanwhile adults can test their badminton skills against others in the new Battle Badminton initiative from Badminton England supported by Freedom Leisure. It’s aimed at non-league and non-county players and is a lot of fun. To claim one of the limited free places use the link and special code in the flyer below. Good luck!